When we announced a brand redesign from Cumulus Consulting Group to Velaspan back in April 2014, the renewed sense of identity sparked imagination throughout the company. Evolving our name provided a chance to evolve our image and we saw the opportunity for a near ground-up company transformation. Coincidently, ground broke less than a month later for Three City Center in downtown Allentown, an office building set to highlight an already impressive redesign of the area. At the time, we had no idea how important Center City’s evolution would be to our own. ‘Velaspan’ marked a leap from the clouds to the stars, but for the first time in the company’s history we were bound for a new home. 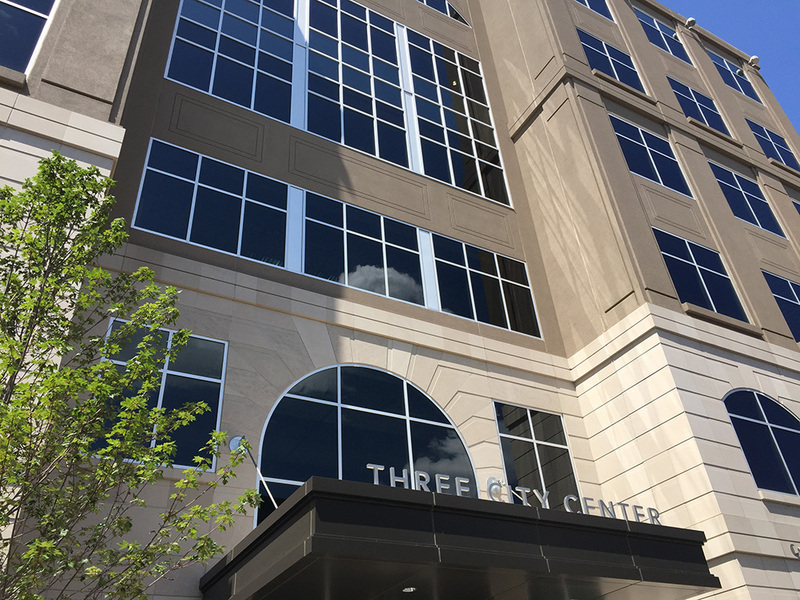 In early July 2015, a few weeks after turning 11, we celebrated with a move to our new headquarters on the fifth floor of the recently completed Three City Center Building. Deciding to leave Bethlehem wasn’t easy; to say we loved our office and the surrounding area is an understatement. But, along with our brand, the company was entering a new phase of its life. We’ve seen plenty of new faces and encountered a lot of growth in the recent months, and our Bethlehem office just wasn’t designed with expansion in mind. From humble beginnings, Velaspan has nearly quadrupled in size. It was clear we needed room to grow. Bethlehem will be missed, but the new office presents an exciting challenge to evolve the way we do business. Our old space was comfortable, but we were eager to make some big changes. We’ve elaborated on our open concept layout by branching the new suite into two distinct areas, dedicating space to both our service delivery and support teams. Dividing the office — a first for the company — creates distinguished departments, but our focus on group collaboration and a community atmosphere hasn’t wavered. Our constant efforts to improve productivity and efficiency even drove the creation of custom workspaces in many varieties. Quite simply, we can’t wait to make big things happen here. Changing location has been a truly exciting venture for the company, and our new identity is just beginning to take shape. A lot has changed in one short year and we’re more confident in our image than ever. But even with a new name and a new home, a key aspect of our business was missing. For over a year, our website has been under construction and its placeholder was lacking to say the least. Fortunately, more than a year after our transformation from Cumulus Consulting Group, we’re relieved to finally announce the launch of our new home on the web, and for the first time ever Velaspan.com. As our website goes live, we can truly say we’ve completed the Velaspan evolution and we’re ready for the challenges ahead. We hope you join us.